Established as the town of Liberty in 1782, Bedford quickly became well known as the county seat and as a center for the production and distribution of tobacco, corn, wool, textiles and eventually synthetic rubber products. 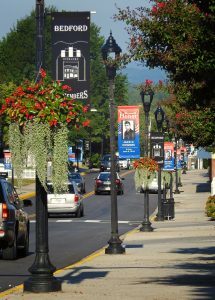 The community of Bedford is located at the foot of the Blue Ridge Mountains with the picturesque Peaks of Otter as a backdrop. Many of Bedford’s structures were built in the 1880s and 1890s, replacing the wooden buildings lost in a ﬁre in 1884. The primary architecture reﬂects the Victorian era’s Italianate style with ornate window details and a wide variety of arches and decorative cornices. In contrast to the elaborate Victorian buildings, Bedford also boasts a number of classical Revival buildings, elegant in the simplicity of their design. It is in this setting that the famed “Bedford Boys” would spend their youth. 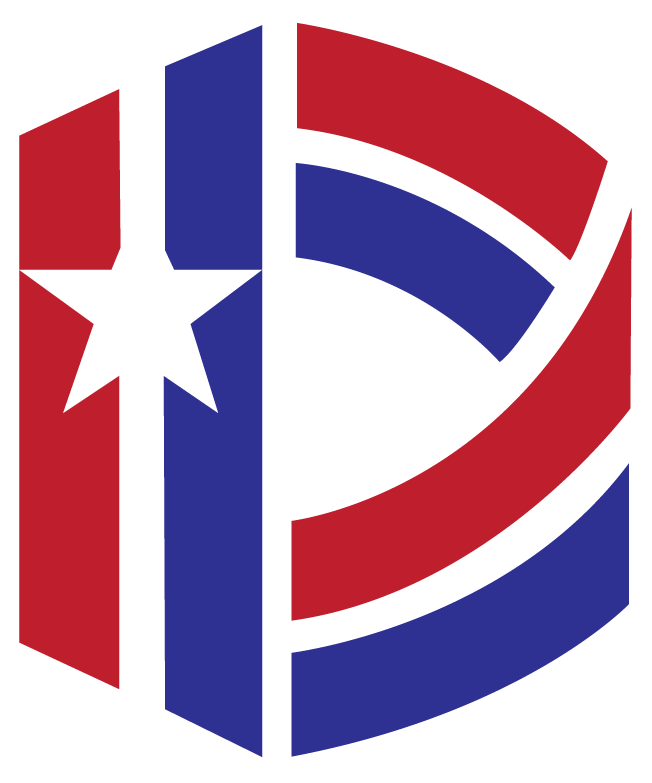 Most joined up with the Virginia National Guard – Company A of the 116th Infantry Regiment of the 29th Division. The primary incentive for many was the extra dollar per day and the handsome new uniforms that many of the men felt would attract the ladies. Few of them believed they would be mobilized for war and embroiled in the largest invasion in history. Trace their footsteps through what would become the most important event of the 20th century. Purchase tickets online or at the Bedford Area Welcome Center to begin your tour at the National D-Day Memorial where you will learn the history of the Normandy Invasion and the price one community paid for freedom. Please click here to download and print the brochure. Please click here to take the virtual tour. Like most throughout the nation, Bedford’s factories converted to wartime production during WWII. This factory, formerly Piedmont Label, opened in 1919 and is Bedford’s oldest factory in continuous operation. Rubatex began making insulation for aircraft and submarines and hoses for gas masks. Hampton Looms produced woolen uniforms while Belding Hemingway made rayon thread for parachutes. Southern Flavoring Company also made parachute parts and the Bedford Pulp and Paper Company contributed to the war effort making cardboard boxes and pallets for shipping, as well as powder for firing guns. On February 17, 1941 the Bedford Boys attended a dance and farewell party where many of them had attended high school. For many, it would be the last time they would walk through its halls. The class of 1944 erected a plaque outside of the school to those who attended the high school and were killed in World War II. Visitors may continue on to Oakwood and Greenwood Cemeteries where 9 of the 20 Bedford Boys who died on D-Day are at rest. The stone on which the monument appears was secured from Vierville-Sur-Mer on Normandy Beach and was a gift of the Republic of France. This traditional 1940’s diner serviced the community and the nearby train station. Its history dates to the 1930s as a one-room hotdog stand. By the time WWII started, the current building was in place and the locals would congregate here before and after shifts at nearby factories, while travelers from the passenger depot would take the two-minute walk to grab a bite between trains. The Bedford Boys would have certainly known this familiar haunt and carried fond memories of it into the war. Known as Green’s Drug Store during WWII, this corner was a gathering place for locals. Tucked away in the back of the drug store behind a wooden booth was a small Western Union telegraph ofﬁce. Twenty-one-year-old Elizabeth Teass was manning the teletype machine on July 17, 1944 when she was stunned to receive a series of telegrams with the words “The Secretary of War desires me to express his deep regret….” The teletype machine continued with one message after another. The community of Bedford would be forever changed. The museum is located in a beautiful 1895 former Masonic Lodge in downtown Bedford. The three floors of displays give a glimpse into the rich history of Bedford County, dating back prior to the American Revolution. 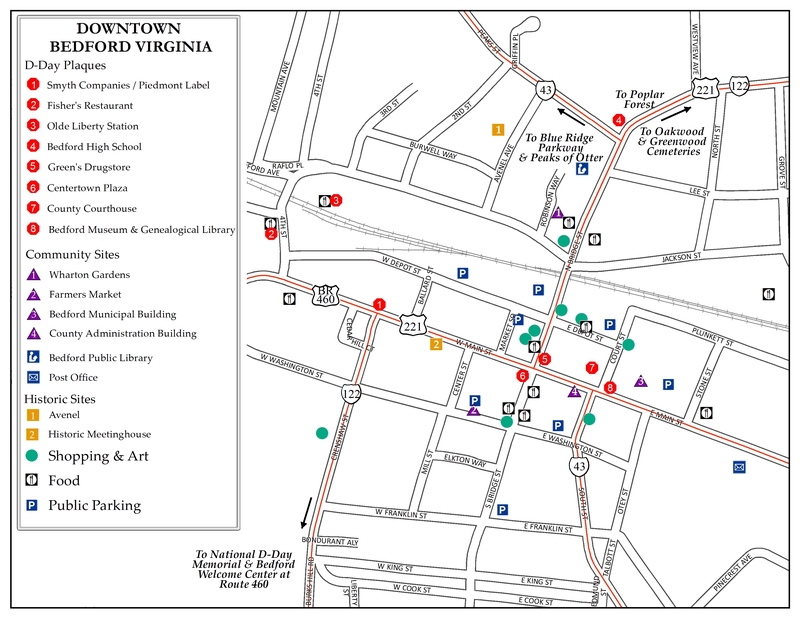 On the second floor, one can find an exhibit devoted specifically to the Bedford Boys, as well as exhibits related to World War II history in Bedford County. The Museum is open Monday through Friday 10 a.m. to 5 p.m.; Saturday 10 a.m. to 3 p.m.; closed on Sundays and national holidays. As in other small towns, Bedford’s railroad station was the hub of community life. Transportation of passengers, freight, and mail, from the railways’ inception through WWII, meant that such railroad stations were a vital part of both the local and national economy. In February 1941, Co. A of the 116th Infantry Regiment, Virginia National Guard, kissed mothers and girlfriends goodbye and filed onto a waiting train at Bedford’s depot. By the end of the year, America was at war, and the Bedford Boys were in it for the duration. Nineteen men from Co. A, and another Bedford Boy from Co. F, perished on the beaches of Normandy. The loss of 20 young men was the highest per capita loss of any community in the United States.